One of the most devastating characteristics of a fire is its ability to spread. That’s why fast, reliable detection is paramount. While smoke detectors remain a vital component in nearly all scenarios, certain environments can benefit from additional protection. Where high ceilings are present, detecting a fire before it reaches a distant smoke detector can save valuable reaction time. Just as important is the ability to correctly distinguish fire and smoke from other disturbances triggering false alarms – leading to financial ramifications. The video fire camera detects the flame or smoke at the source, significantly reducing detection time and simultaneously providing the operator with visual verification of the incident. Bosch’s new video-based fire detection system features a physical detection model that ensures the reliable differentiation of disturbances and real fires. This intuitive technology delivers more accuracy than any other video-based fire detection platform available on the market. 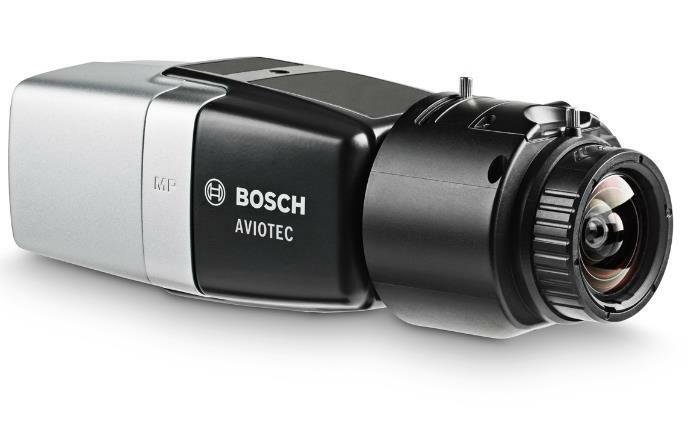 Bosch’s camera technology and intelligent software algorithms analyse the video footage directly in the camera. There’s no additional processing unit needed, reducing installation efforts and costs. The built-in relay output allows the camera to be connected to any fire panel. AVIOTEC 8000 is the answer for facilities used for industry, transportation, warehousing and energy utilities. The VdS is an independent institution for enterprise safety and security, and harmonised body for international safety standards. This quality seal is considered an important investment criterion as the basis for later EN standardisation. This entry was posted in New Release Announcements, News and tagged bosch.